Nikko is a Japanese traditional wonderland and a ‘must-see' destination on every traveller’s Japan bucket list. There is a bucket-load of places to see in Nikko! You can venture out on a boat on Lake Chuzenji. 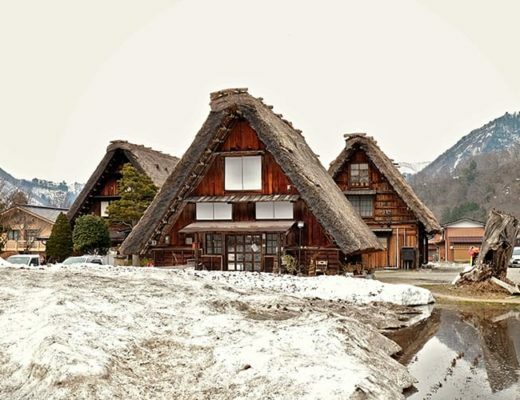 Choose to go on a hike in Mount Nantai or check out the Edo Nikko Edomura cultural theme park. There is also a Nikko Tamozawa Imperial Villa Memorial Park, Nikko Yumoto Onsen, Yunishigawa Onsen, or numerous other places to see, like museums and beautiful national park walks. However. 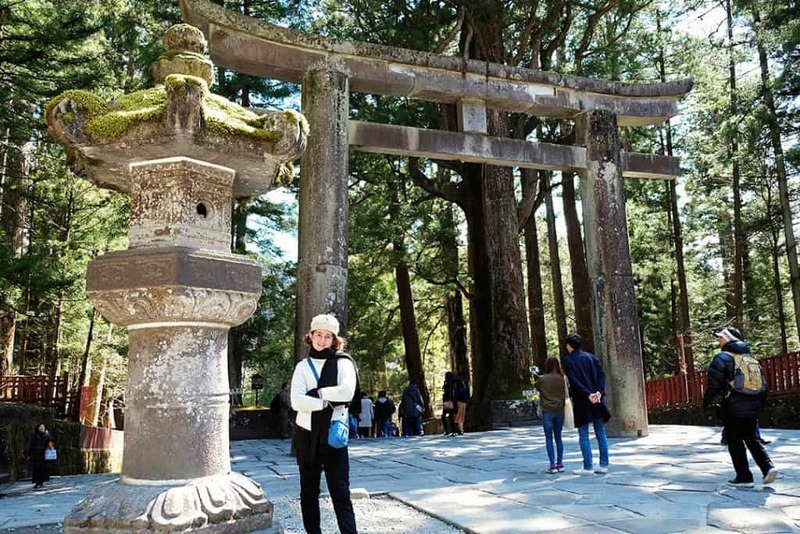 If you are limited on time and you are looking for the top things to do in Nikko on a day trip, then we highly recommend you stick to the beautiful Nikko National Park. 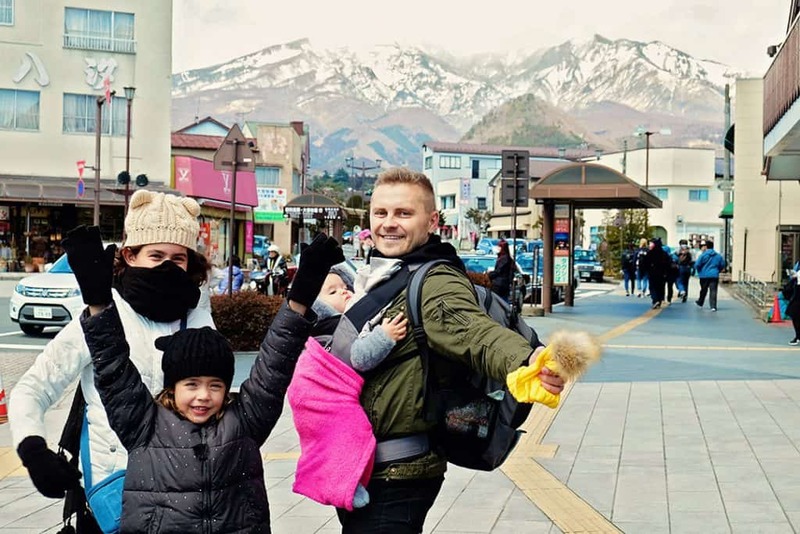 This is the best list of what to do in Nikko Japan! Where is Nikko National Park? Watch our short video of our Nikko National Park day trip from Tokyo. It was a really cold day and we even saw gorgeous snowflakes fall down. 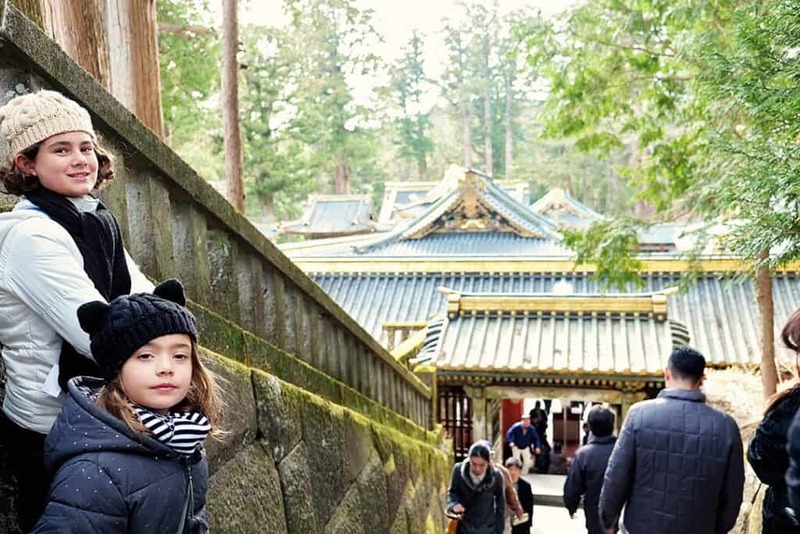 Please find below our list of the best things to do in Nikko on a day trip. 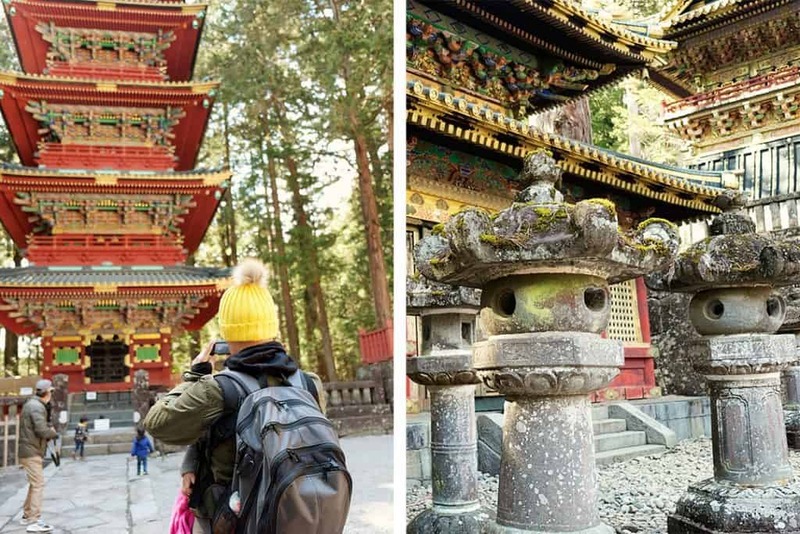 Nikko Toshogu Shrine is the number one place to visit whilst on your trip to Nikko. It is the final resting place of Tokugawa Shogunate founder, Tokugawa Ieyasu. This shogunate ruled Japan for over 250 years until 1868. 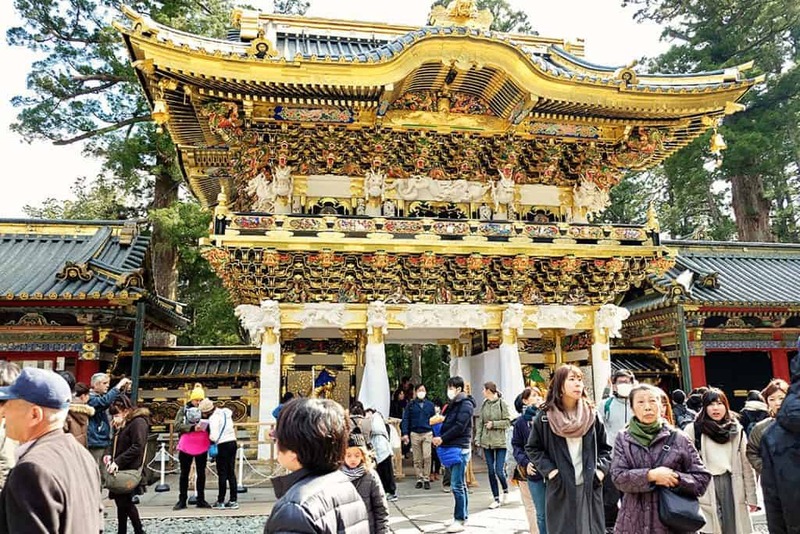 Toshogu Shrine consists of more than a dozen beautifully decorated buildings, all situated in a thick oak forest on top of a hill. Make sure to bring a camera as you will be bombarded with picture perfect scenes everywhere you look. 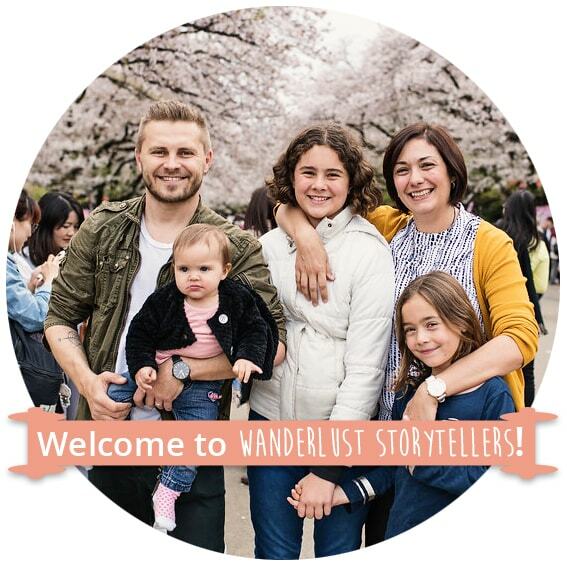 Some of the main spots that we would recommend to check out and take some snapshots of are the Five Story Pagoda, the famous “see no evil, speak no evil and hear no evil” monkey and the Sozonozo Elephants storehouses and the Yomeimon Gate. Although there are plenty of stairs here, don’t miss out on walking up all the way to the top to the Tokugawa Ieyasu's mausoleum. This shrine is known for both Buddhist and Shinto elements in its architecture. 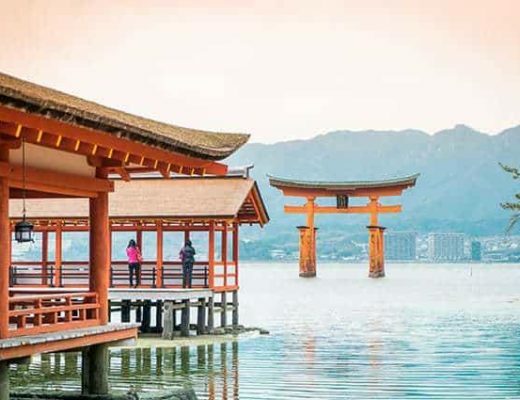 Traditional wood carvings and gold leaf designs decorate most of the structures, making this shrine truly extraordinary and one of the most spectacular in all of Japan. 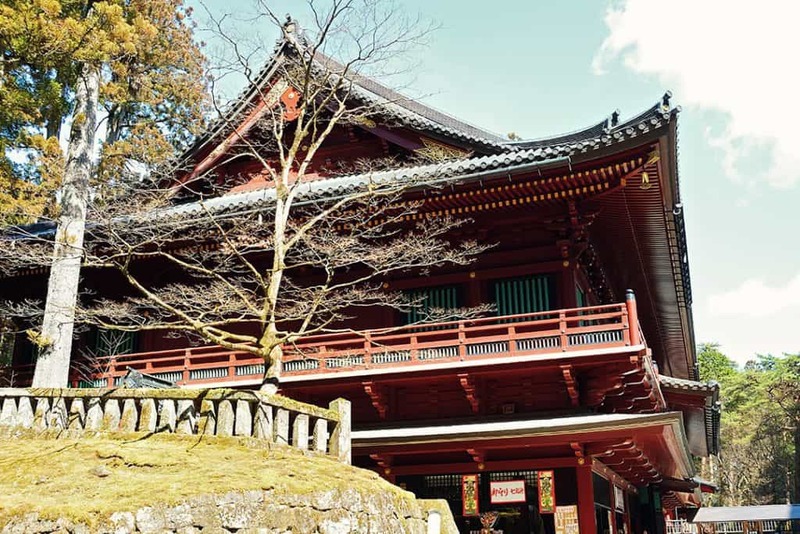 Rinno-Ji Temple is the most visited and the most important temple in Nikko. This temple dates back to the 8th century, making it the first Buddhist temple in the region. Unfortunately, the main Sanbutsudo Hall is under renovations until March of 2019 and it is covered by scaffolding. You are still able to view the building, however, you will not be able to get a picture of the hall in its natural surroundings. Other things to marvel upon here are the gold lacquered wooden statues of Amida, Senju-Kannon (Kannon with a thousand arms) and Bato-Kannon (Kannon with a horse head). Together with the main hall, these three are enshrined at Futarasan Shrine or the three mountain deities. 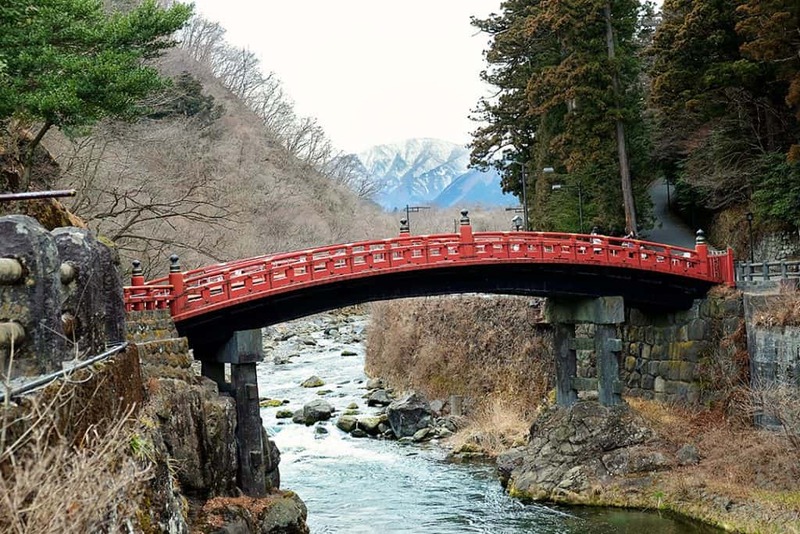 Shinkyo Bridge or the Sacred Bridge ranks at the top three finest bridges in Japan. This elegant red coloured bridge spans across the river at the foot of the hills on which the temples and shrines are located. These days, this amazing 16th-century bridge is a tourist attraction and one of the most photographed bridges in the whole of Japan. It is easy to see why. The view from the main street is truly unique and extraordinary. Exploring the town does not cost you anything. Nikko is a really pretty, clean and well looked after little town. 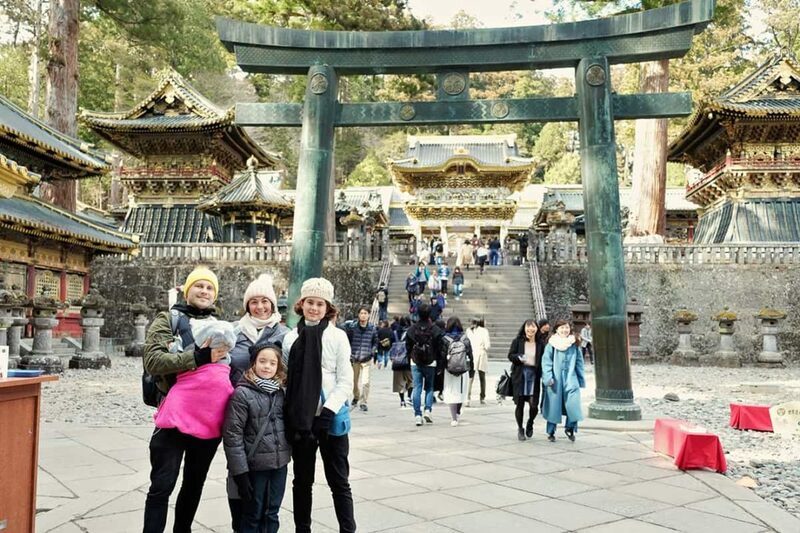 It is a gateway for the Nikko National Park and home to generations of proud Japanese locals. This is a true mountain town with sensational views, beautiful lakes, stunning waterfalls, hiking trails, native wild monkeys and so much more! 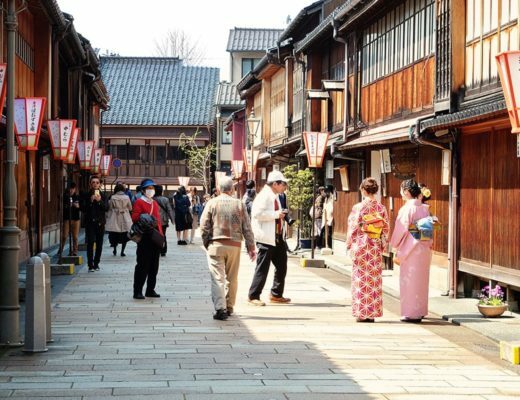 In town, Nikko offers a large variety of souvenir shops, cozy restaurants and plenty of small street food shops. 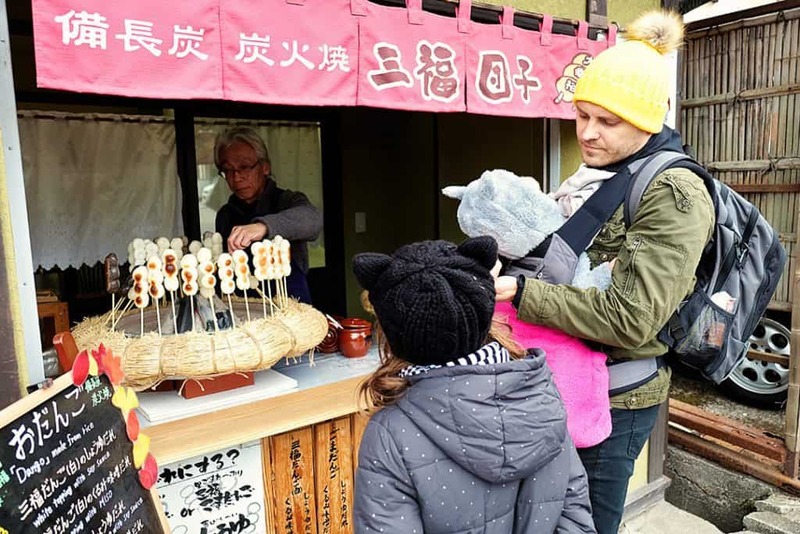 There are also some great local treats to try out such as Dango! Are you brave enough to try new foods? On our walk down the main street, we spotted a crepe shop. I think it took me half an hour to choose the flavour, and only two seconds to devour the delicious creation! Anything with ice-cream, chocolate and strawberries will do! Kegon Waterfall is almost 100 meters tall and its majestic beauty attracts many of tourists. This waterfall is ranked as one of the top three waterfalls in all of Japan. (Yes! There are a lot of top three's in Nikko!) Definitely a must see, whilst on your visit to Nikko. There are three main viewing platforms from where you can snap some photos. One is free and it is easily accessible on foot, and the other is a paid one, which is accessed via a 100 meter deep elevator. The paid platform does offer much more dramatic and much more impressive. You can also choose to check out both Keagon Falls and Lake Chuzenji from Akechidaira Observatory, which you can access via ropeway from Akechidaira Plateau. Whichever you choose, the experience will be worth it and more of a relaxing one! We loved Nikko, even though we went in the cooler season. Fresh mountain air and relaxing atmosphere of the town soothes all your senses and enriches your soul. It is one the most prettiest towns that we have visited whilst exploring Japan! Nikko National Park is located about 125km from Tokyo in the Kanto region of the main island of Honshu, Japan. The park encompasses four prefectures: Tochigi, Fukushima, Niigata and Gunma. Or check out the prices for the Tokyo to Nikko train here. 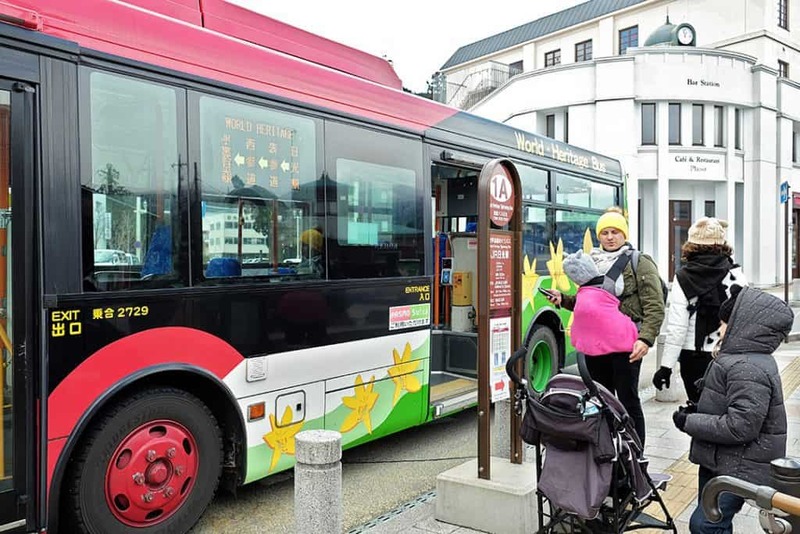 Th best way to get around the Nikko area is with a Tobu Bus ticket. You can purchase a day pass if you like or choose to get a one-way ticket to the top of the hill to see the shrine and take a walk down the main street back to the Nikko Station. We chose option two. That way we had plenty of time to explore the town on the way down. It was a bit of a hike, but definitely worth it. Otherwise, we would not have tried all the yummy delicacies and the famous crepes!! Cannot miss out on the crepes!! Nikko is a great place to visit not only as a solo traveller or as a couple. Taking an option of an organized tour can have great benefits as well. Ease of moving around, a detailed description of places visited by a tour guide and more. Check out a top recommended tour to Nikko here. 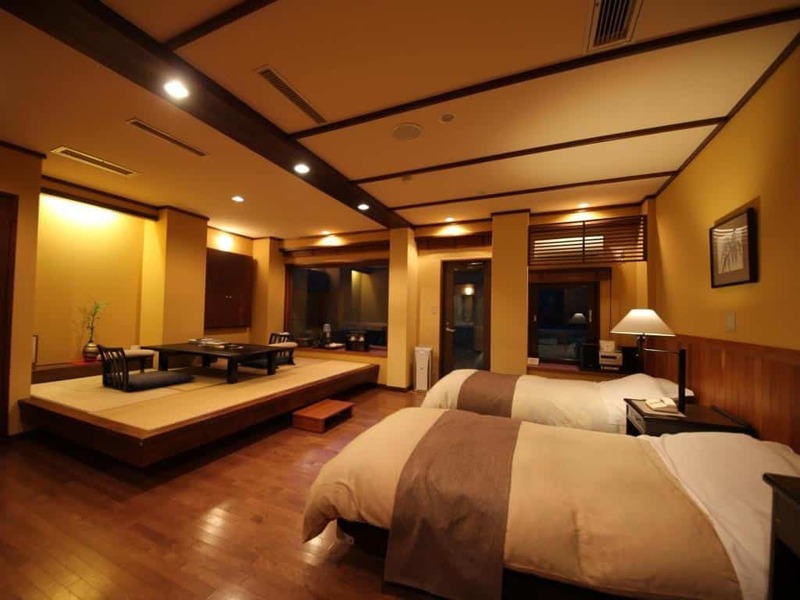 Beautifully designed Japanese style hotel with spacious rooms and exceptional service. This hotel is a luxury retreat in itself. It offers not only a hot tub sauna, but also a hot springs bath. Now, that’s what I am talking about! Relaxation in style. Food is amazing, plenty of local hiking trails and a theme park as well. 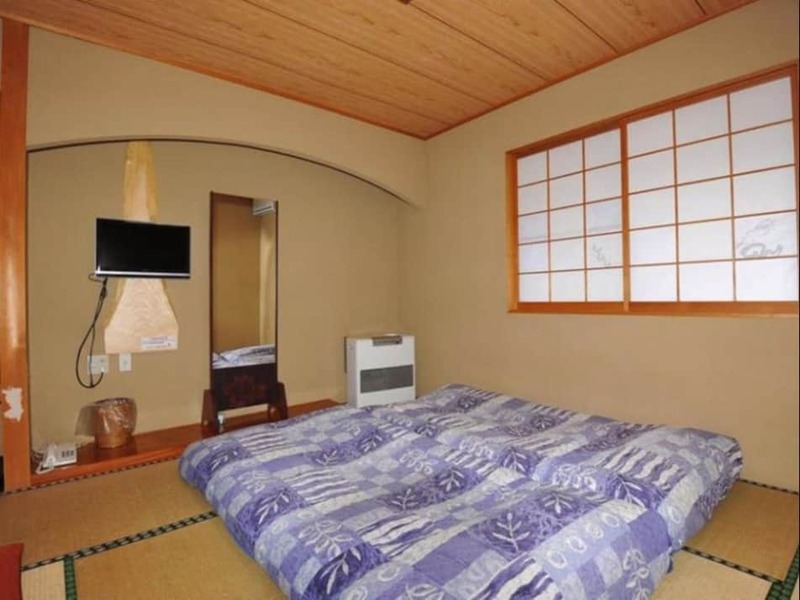 It is located around 3km from the Nikko Station for easy access to the town. This hotel comes with excellent reviews, but it is a little further from the centre of Nikko. Shuttle bus to the station is available and connections are well organized. 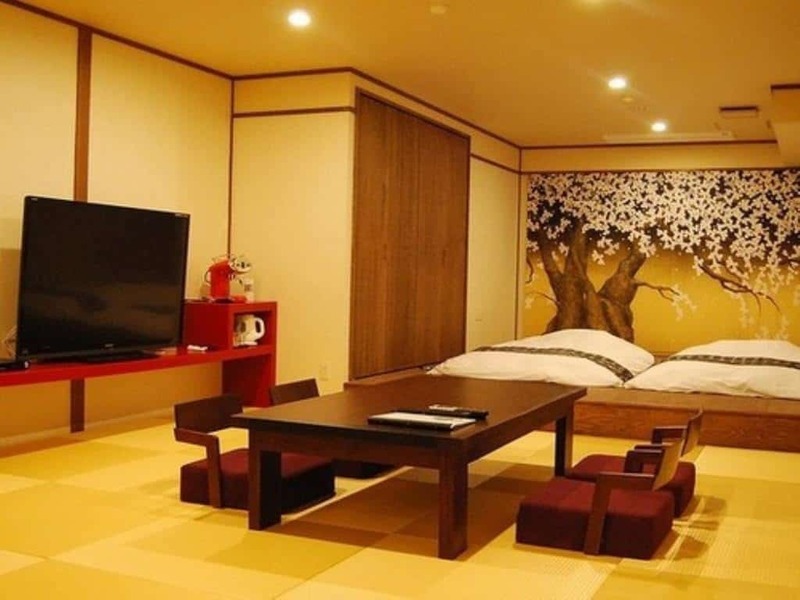 The hotel itself has great service, excellent food and your rooms are well groomed with Japanese style in mind. If you are after a more standard experience and the minimalistic approach is ok for you, than this ryokan comes highly recommended. 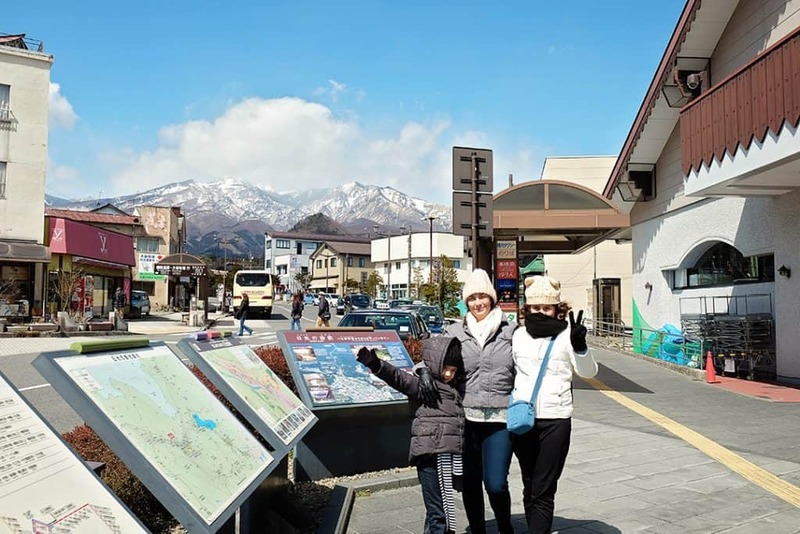 It is located just 1km from the town centre and about 2.5km from the Nikko Station, closest of all three accommodation options. Enjoy a nice stay here, as well as a hot tub and hot springs bath. I am travelling to Japan in may & would like some help to decide if it is worth going to Nikko. We are spending 5 days In Tokyo & 5 days around Osaka & Kyoto. Will we see similar shrines & landscape in Kyoto to perhaps skip Nikko? You mention to take a bus up the hill in Nikko but Can you advise how to get from site to site? My husband wants to go to the Honda museum. This appears to be on the same line. Any advise as to getting to the Honda collection hall would be appreciated.